Relax, this is not about to become a gender war or some misguided political comment, simply lamenting the loss of things that are unashamedly without compromise. I don’t mean perfection of course, that is a fool’s goal, I’m referring to that raw focus someone, or something, can have where you are so focused on a specific result, you will not back down for any reason. I’m thinking of things like the design of an F1 car or fighter jet, children dreaming of traveling to the moon, the samurai of old who performed seppuku rather than live with the shame of defeat. Things that may not be practical, or even generally palatable at all, yet do not even bother with trying to justify their existence. 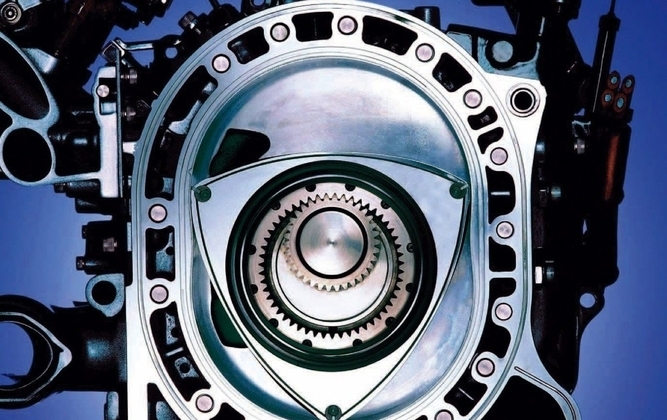 One such thing, to me at least, is the rotary engine. My discovery of rotary magic started with dad’s detailed explanation many years back of why his GT 750 was different from other, newer, motorcycles. Of course it had a two-stroke engine, not a rotary, but it demanded my attention. This beautiful notion that somewhere out there an engineer thought: “fuel economy be damned, I want POWER!”. Four-stroke clearly was for the faint hearted, two-stroke was for real men and the rotary, well the rotary was the nectar of the gods. Even more focused on power delivery than the two-stroke, it is a thing of true beauty. It delivers raw power, power from its very nature without needing tricks like big cylinders, forced induction or direct injection. Granted, Mazda has also introduced this dinosaur to such modern trickery, but at the core it remains a design meant for delivering the most power possible from the least weight. In its heyday it found itself in silly applications like family sedans, but eventually found its rightful place in sports cars. The magnificent RX family from Mazda, some of the more memorable shapes and sounds of modern automotive history owe debts to that family. I will never forget watching Ben Morgenrood racing his RX7 at Killarney, flames big enough to engulf a decent sized critter, noises from another universe, pure magic. Only years later did I realize this was a car mere mortals could actually buy, when I first saw the 3rd generation RX7 I wanted one, but it was already too late, and I was too young and poor. I still play clips of the 787B being revved to high heaven, it gives me goose bumps every time. Newer clips of the Furai concept have a similar effect and the launch of the RX8 years ago was probably the most exciting automotive news I’ve had to date. Sadly its time has also come and gone, my hopes and dreams now hang on the Renesis 16X engine. Someday when I grow up I want to own a rotary, hell even just driving one would be a great experience, despite my love for them I’ve somehow managed to avoid that honour. Long live the rotary, and if anyone mentions the word “torque” I shall weep for you, clearly you know not the satisfaction of constantly playing with a well-built gearbox and automotive joy has been denied to you all your life.